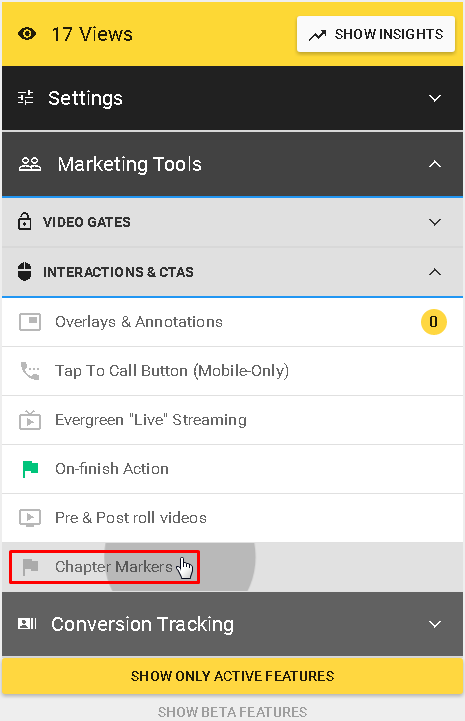 You add marker points to mark a specific frame of a video clip in a timeline. The Chapter Markers mark the beginning of the specific scenes and sequences, they also let the viewer skip forward or back through a clip. Once you select the marker points you will see next screen with the details and options of possible selection. 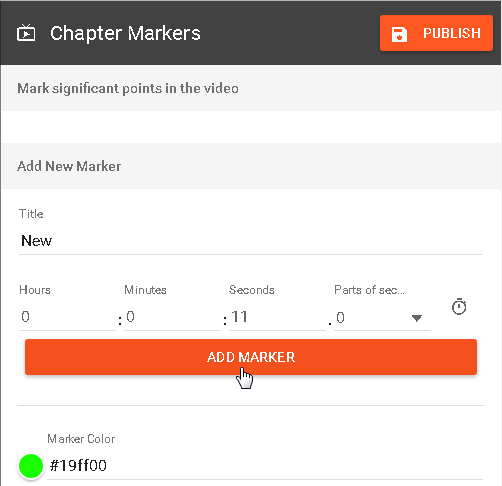 You can fill out the title, specific time of the marker and choose the color you would like your marker to be and click on ADD MARKER. To apply all settings do not forget to click on the PUBLISH button. The viewer will notice this marker poin at the timeline of your video, so he can go straight to this part.